Modern pentathlete who won a silver medal in the individual event at the 2008 Summer Olympics. He began experiencing success in 1998, when he won silver at the World Championships. 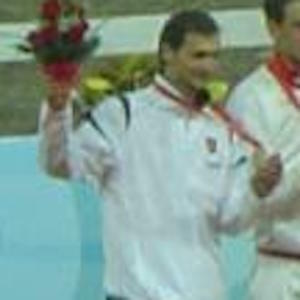 In 2006 he won gold medals in both the team and individual events at the World Championships. He was born and raised in Lithuania. He competed in the men's pentathlon at the 2008 Olympics, the same year that Kara Grant competed in women's event.